Fifty West Brewing Co. recently announced the release of its craft beer cans in the Greater Cincinnati area. Patrons can purchase its three core beers — Coast to Coast IPA, American Lager and Doom Pedal White Ale — at restaurants, bars and retail locations throughout the city. Distribution began on Jan. 30. 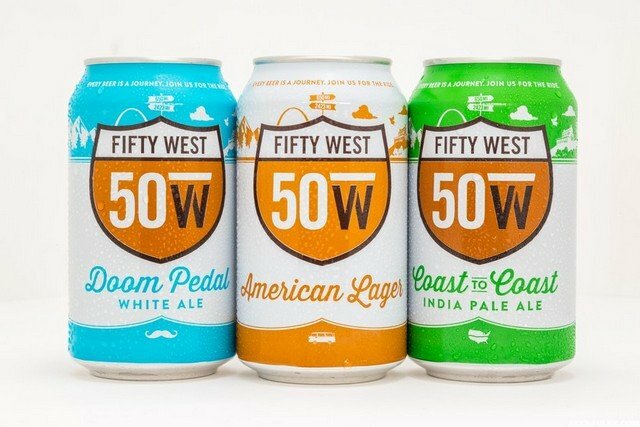 Managing Partner Bobby Slattery has cultivated the Fifty West brand for five years and couldn’t be more thrilled to release cans to his hometown. Retailers are looking forward to Fifty West becoming more ubiquitous throughout the city. The entire month of February will include can sampling events throughout the city with chain and independent retailers. Check your local shop for their events schedule to interact with the Fifty West crew and sample the new wares. This can launch is only the beginning, with many more craft beer varieties planned for launch in the future. Look to summer 2018 for the launch of Punch You in the EyePA to coincide with Fifty West’s annual Punch-Out event, and stay tuned for further releases.